Which option is best for you depends on a variety of factors, so let’s take a look at each of these ways of selling a luxury watch in Los Angeles. There are not many companies solely in the business of buying watches from the public. Some do exist, but more often you will be dealing with a local jewelry buyer who also purchases fine mechanical watches. For example, at Los Angeles Jewelry Buyer we specialize in Swiss timepieces made by Rolex, Patek Philippe, Audemars Piguet, and a handful of other premier watch brands. 1. Get a preliminary quote. 2. Meet with the watch buyer. 3. Receive a final cash offer. 1) We are a service division of Diamond Estate Jewelry Buyers, one of the country’s top buyers of important watches, with an A+ Better Business Bureau rating. 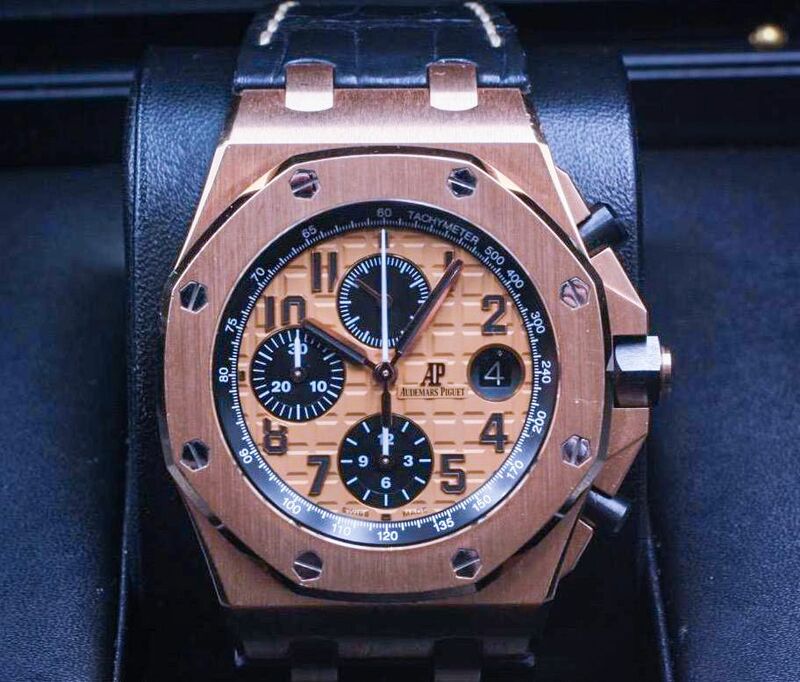 We have the resources and resale network to make you the highest possible cash offer — often exceeding the amount you would have received if you sold your used watch at a luxury auction house. 2) We make it convenient for you to meet with us to sell your watch. Not only do we meet with clients at our main buying office in Redondo Beach, CA. We meet with clients throughout Los Angeles County via our network of executive offices. In other words, we come the location closest to you. 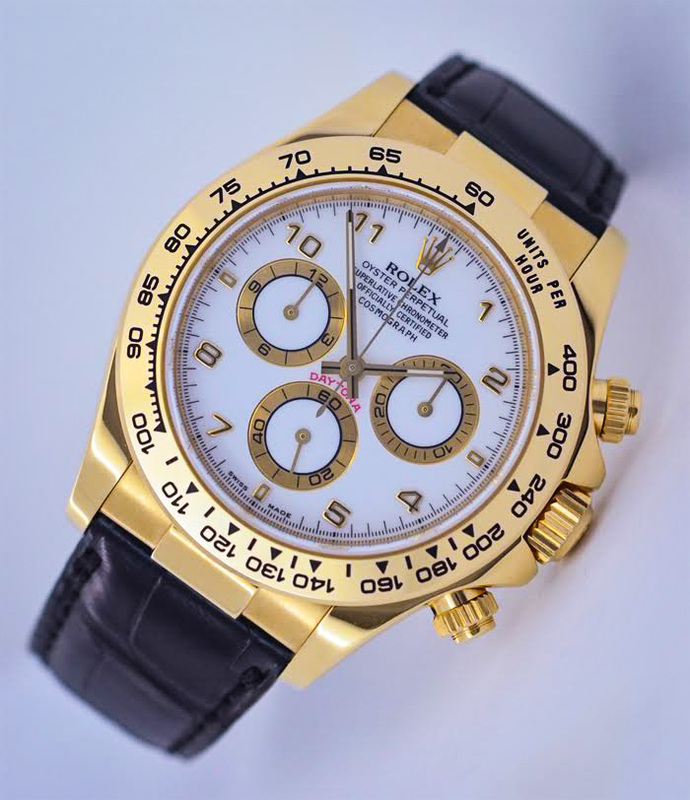 Contact us now to get a free valuation of your valuable watch, and a preliminary cash offer. "I wanted to sell my Rolex that I don't wear anymore. Fletcher was so nice. He explained everything I needed to know about the condition and price. He really took the time to make sure I was informed and comfortable with my decision. He paid me right on the spot. I would definitely come back." 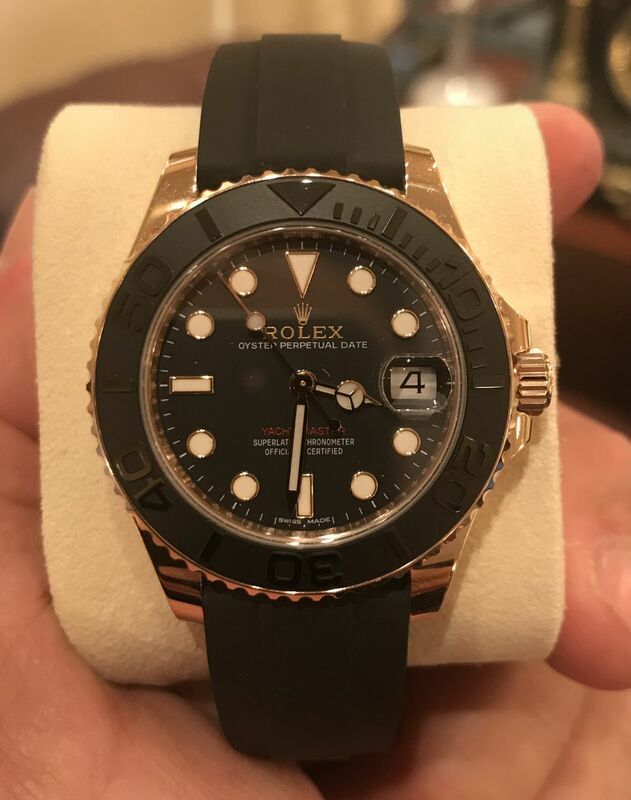 The process of selling your watch to an online watch buyer is similar to a local buyer’s, except that instead of meeting the watch buyer in person, you will be shipping your item to them. With online watch buyers it is especially important to do some background research to ensure that they are a legitimate company with an proven track record. Begin by checking to see whether they are registered with the Better Business Bureau, and independent review sites such as Yelp. 1. Do they insure your watch to its full value? 2. Do they video the opening of your package when received? 3. Will they wire your payment within 24 hours of accepting their final offer? 4. If you decline their offer, will they ship your watch back free of charge? If the answer is “Yes” to these four questions, then they are an online watch buyer worth considering. 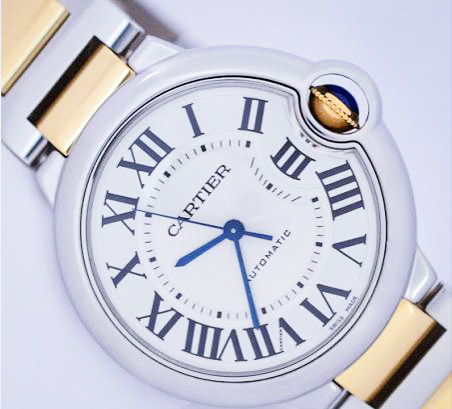 If you already have received a cash offer from an online watch buyer and would like to get a competing quote from Los Angeles Jewelry Buyer, contact us now. Three of the most popular auction houses to sell important timepieces are Christie’s, Sotheby’s, and Antiquorum. The main difference between these three auctions is that Antiquorum deals exclusively in prestige watches, whereas Christie’s and Sotheby’s sell a large variety of important estate items, including books, paintings, furniture, jewelry, coins, etc. Two important things to keep in mind when selling a watch through any auction house are the time and fees involved. It is not uncommon for the entire process (from initial contact to having cash in hand) to take upwards of 8 months, while incurring commission + fees in excess of 30% of the final hammer price. For example, Antiquorum charges a rate of 15% on the first US $10,000 of the total sales price, and 10% on anything above that, as well as an insurance premium of 1%. In addition, you are charged for photography and all additional costs incurred while preparing your watch for auction. If your watch sells, you have to wait another 45 days for your payment. And if your watch doesn’t sell, you end up losing money, because you still are responsible for paying the related shipping, handling, and processing fees related to the auction. 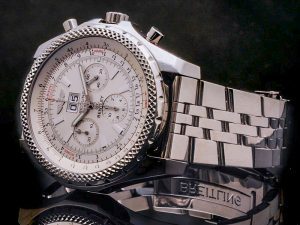 It is because of the time and fees involved when auctioning a watch that so many people choose Los Angeles Jewelry Buyer instead. With us, you can sell your watch within days of first contacting us, and often for a price similar to that which you would have received at an auction house (after their commission and fees are deducted). Contact us now to get a preliminary cash offer for your timepiece. 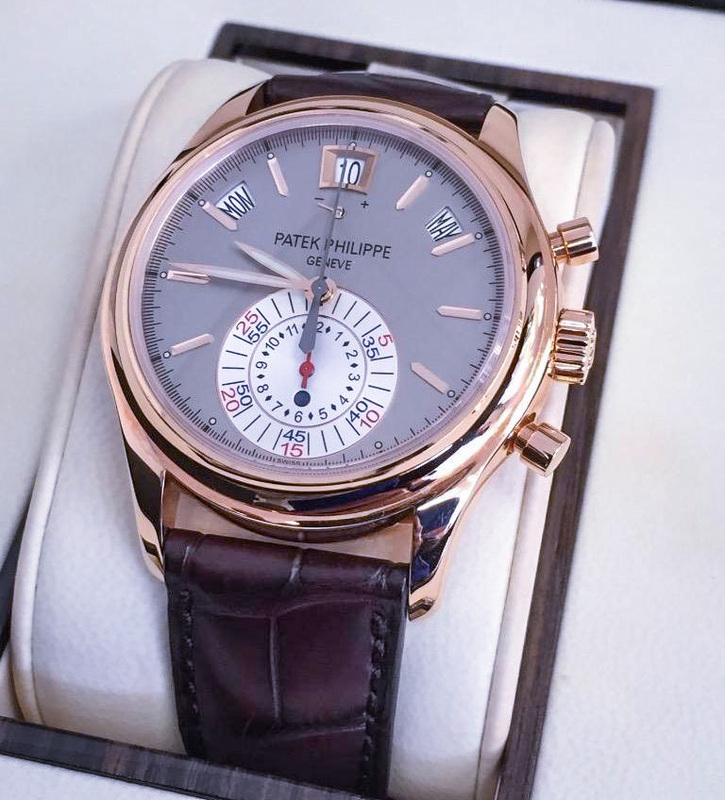 In general, there is less time involved when selling a watch through an online auction website than there is at a bricks and mortar auction house. This, of course, is especially true if you try to do it yourself and auction your watch on a website like eBay. 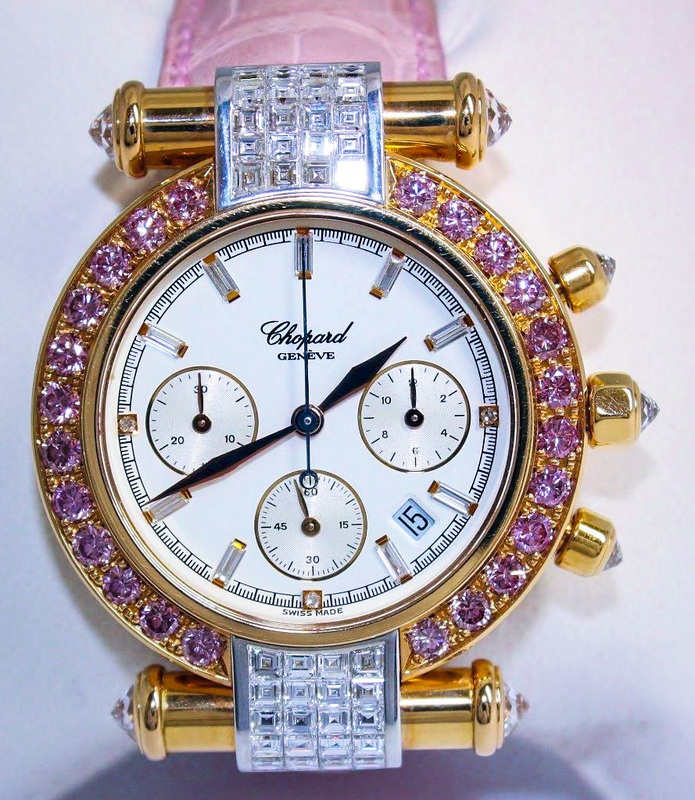 The difficulty in selling a luxury watch on eBay is the same as when trying to sell diamond jewelry on the website. Very few (if any) people feel comfortable buying expensive jewelry or watches online from total strangers. There are simply too many counterfeit items circulating. And although eBay takes measures to protect buyers, most people feel secure only buying luxury watches from established sellers with a long track record. Another option is auction websites exclusively dedicated to selling watches and fine jewelry. When it comes to these online businesses you want to ask the same questions mentioned above regarding online watch buyers. Check their shipping, insurance, sales, and return policies. 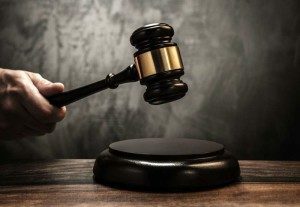 While commissions and associated fees are lower with an online watch auction, the bids also tend to be lower when compared to a luxury auction house. The reason for this is that most of the buyers making bids at jewelry/watch auction websites are dealers rather than avid collectors. Thus you are adding an extra middle-man to the sales process. However, if you are in no rush to sell your watch, and are happy to have your timepiece returned if your minimum price isn’t reached, then an online auction is worth considering. 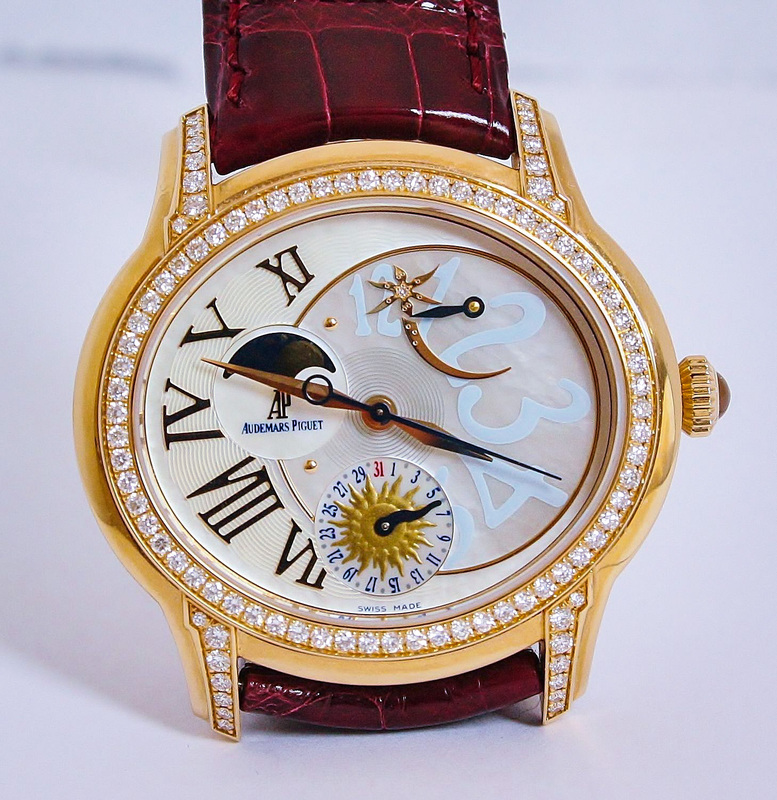 At Los Angeles Jewelry Buyer, we take pride in consistently making the highest cash offers for expensive timepieces. We are a leading alternative to selling your watch at auction, allowing you to receive a generous cash offer in the shortest amount of time. Contact us now to discover how much we can pay for timepiece. Regardless of how you sell a used watch in Los Angeles, you likely will need a few good photographs of your timepiece. Your watch buyer is going to use these photographs, along with the other information you send, to arrive at a preliminary cash offer. The better your photographs are the easier it will be for the buyer to establish an accurate cash offer for your watch. Use the following tips to help guide you through this process. 1. Use your smart phone to take the photos, so you can easily text or email them to the watch buyer. 2. When using an iPhone use the AE/AF lock for a clear close up shot of your timepiece. 3. Turn off the flash on your camera and light your watch indirectly. 4. Take photos of the front and back of your watch, a well as the box and paperwork (if you have any) and one that shows the stretch in the watch band (image 4 above). Contact our Los Angeles watch buyers now with a description of the watch you are selling. We will get back to you soon, and if it is an item that we purchase, we’ll ask you to send your photos. Send a message below and tell us about the item you wish to sell. 1. A Rolex with original box and papers. 2. A Rolex that has not be refinished. 3. A Rolex with a tight band. 4. A Rolex with all original parts. 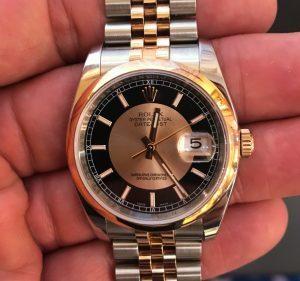 However, don’t get discouraged if you don’t have your Rolex’s original box and papers, or if your watch has a loose band, non-original parts, or has been refinished, you still may be able get a reasonable cash offer. It all depends on the model of your Rolex, its overall condition, and the degree (if any) that it has been altered from its original state. The only Rolex you can’t sell in Los Angeles is one that is fake. 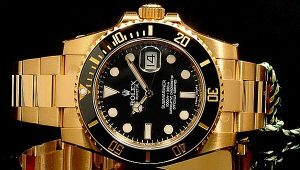 If you bought your Rolex from an official Rolex dealer then you don’t have anything to worry about. But if you have acquired your Rolex watch in some other manner, then there is room for concern, because literally millions of fake Rolex watches are in circulation. 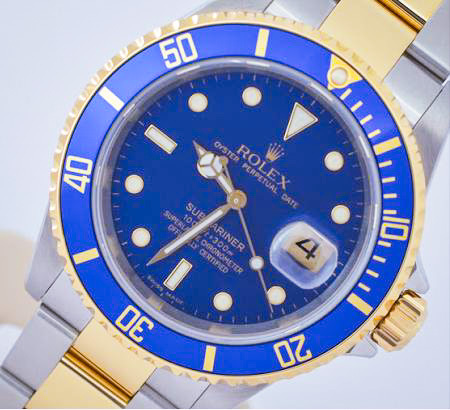 The video below can help you identify whether your Rolex is authentic or fake. 1. Can you see the moving parts of your Rolex watch through the dial? 2. Is the back case of your Rolex watch made of glass? 3. Do you have a Rolex Oyster with no screws on the back case? 4. Does your Rolex watch say that it was made in China? 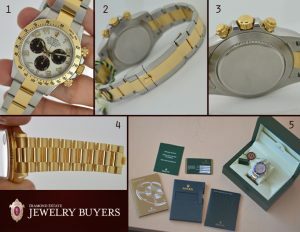 If the answer to any of the above questions is “Yes,” then unfortunately it is a fake Rolex watch. When selling a Rolex in Los Angeles, it is always good to have as much information as possible to share with the Rolex buyer. If you have the original paperwork then it is easy to obtain the serial and model number. If you don’t have the paperwork, then you need to find that information, which is engraved on your timepiece. The serial number on Rolex watches made from 2005-present is engraved on the inner rim of the watch face at the 6 o’clock position. The serial number of Rolex watches made prior to 2005 is located on the side of the watch case at the 6 o’clock position, between the lugs. You will have to remove the Rolex’s bracelet to read the serial number. The model/reference number of Rolex watches is engraved on the side of the watch case at the 12 o’clock position, between the lugs. Again, you’ll have to remove the bracelet to read the model number. Knowing the model number is important when selling your Rolex watch because it tells the buyer important information about the bezel and the material from which your Rolex was made. 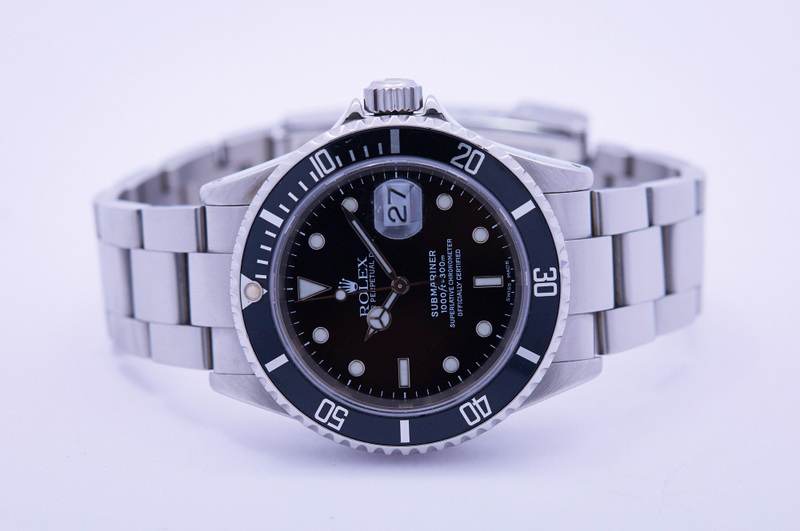 Now that you have the information you need to sell a used Rolex, contact Los Angeles Jewelry Buyer for an immediate cash offer and consultation. We buy all models of used Rolex watches, including the Air-King, Datejust II and Lady Datejust 28, Paul Newman Daytona, Day-Date 36/40 and Day-Date II, Explorer and Explorer II, GMT Master and GMT Master II, Milgauss, Oyster Perpetual, Oysterquartz, Sea-Dweller 4000 and Deepsea, Sky-Dweller, Submariner and Submariner Date, Yacht-Master and Yacht-Master II. Where Can I Auction My Jewelry?